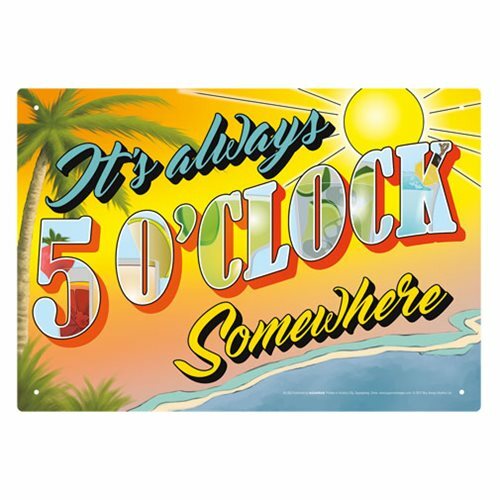 This wildly colorful tin sign is the perfect way to remind yourself and others, it's always 5 o' clock somewhere! This Five O'Clock Somewhere Tin Sign measures about 8-inch long x 11 1/2-inch tall. Ages 14 and up.